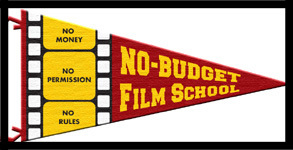 Subscribe to the No Budget Newsletter today! If you're in to no-budget filmmaking, (and I'm assuming if you're reading this, YOU ARE), then the category that holds the most interest for you each year at the Spirit Awards is the John Cassavetes Award, given to the best feature made for under $500,000. This is the award where, theoretically, the "little guy" still has a chance to win at an awards show that is dominated by bigger budget, maybe not-so-indie, indie films. Of course it seems like every year that even the winner of this category turns out to be some "$500,000" budgeted film with big stars in it. Well, thank goodness, not this year. Director Mora Stephens and producer Joel Viertel's relatively unknown CONVENTIONEERS, took the award over Sundance and Cannes alums, and even over Film Independent's (the org behind the Spirit Awards) LAFF grand prize winner, a testament to just how good it is. 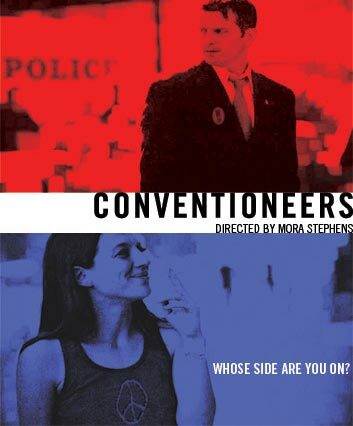 Made for nearly nothing and shot on Panasonic DVX100 miniDV cameras, Conventioneers is a clever romantic drama that follows two former Princeton classmates, one a married delegate attending the 2004 Republican National Convention in New York City and the other a lefty Democrat planning a big protest during the convention. Shot against the backdrop of the actual convention--and in many cases, right smack in the middle of it--the film captures the energy and authenticity of politics and an illicit love affair in a way that much bigger films usually miss. This is all the more remarkable when you consider how the film came together. Conventioneers was Stephen's NYC graduate film school thesis project, and they were able to get a bunch of free stuff from NYU, including insurance, most of their grip and electric (which wasn't much--it had to all fit in their two cars), DAT machine, mics, 35mm lenses for their P + S Technik adapter, and most of their student crew. The P + S and the G&E were used in their single-camera scenes, like those set in hotel rooms and apartments. Much of the film, however, was shot out in the streets on multiple cameras, sometimes as many as six at a time. The many cameras amounted to 87 hours of footage captured on several different kinds of formats. Most of their locations were borrowed or stolen, though they paid for the hotel room and the right to shoot all over the hotel. The Tribeca Film Festival, where Conventioneers had its world premiere, helped them procure the Embassy Suites for a reasonable sum. Their biggest expense was food (which is typical for a micro-budget project). They used a SAG Student Film contract, though their leads were not SAG. Shot in four weeks (2 1/2 weeks with the actors) on a loose schedule with never more than a 7-man crew, producer/editor/co-writer Viertel found himself shooting, gaffing, and booming much of the movie. He edited with Final Cut Pro 4 on a Mac G4 utilizing two LaCie 250GB drives. Color correction was done in FCP and for Tribeca, a DVCAM master was upconverted to HDCAM for digital projection. Motivated by the time limitation of the upcoming convention, the film was financed on credit cards and a locked picture came a week and a half before their Tribeca premiere. Think that's harrowing, the crew was also arrested during one of the protests and their equipment was confiscated as evidence. What some people have to go through for their art! Don't miss Conventioneers if it comes to a theater near you. Cinema Libre and Lantern Lane are working on securing a theatrical deal, so let's hope the film opens this fall, say right around the November elections? Speaking of the Cassavetes Award, two worthy nominees are coming to a theater near you. One, BRICK, may already be there. Opening with an astounding $49,000 weekend at the Arclight in Hollywood, expect to see the clever Focus feature in many theaters across the country. Every bit of its "under-$500,000" budget is on the screen. 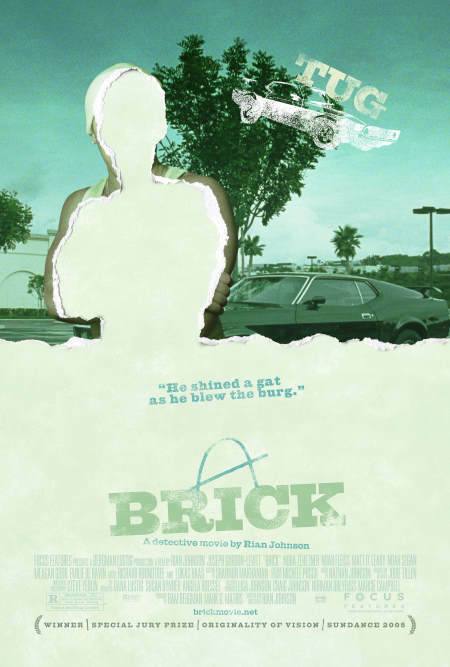 To keep the costs down, first-time feature director Rian Johnson shot all the high school scenes at his actual high school alma mater, (something he recommends to every young filmmaker). 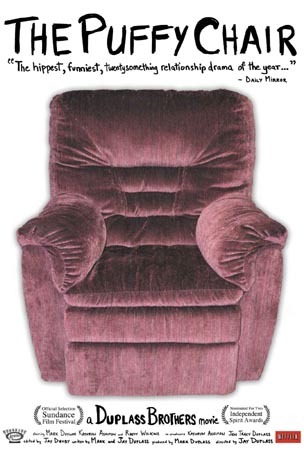 The other one to catch is the Duplass Brothers' PUFFY CHAIR, which like Brick, premiered at the 2005 Sundance Film Festival. Shot on a reported $15,000 budget with a 3-man crew, Roadside Attactions will release it on June 2, 2006. Check the website for a screening near you. QUINCEANERA, the HD feature that recently won both the Dramatic Grand Jury Prize AND the Audience Award at the 2006 Sundance Film Festival, should be getting a July 2006 release by Sony Pictures Classics. Directors Richard Glatzer and Wash Westmoreland's coming-of-age drama was shot for $350,000 on a Sony Cine Alta F900, all within a one-mile radius of the filmmakers' Echo Park neighborhood. Conceived on January 1st, 2005, the script was written in three weeks and shot in 18 days in April 2005. The 25 hours of footage was cut in 12 weeks on Final Cut Pro and submitted to Sundance in September. DP Eric Steelberg utilized a tiny light package (the largest instrument was a 4k HMI), shooting all handheld, and often at night with available light. It was transferred to 35mm at Efilm just prior to screening at the festival. Bucking a Sundance trend, the cast is made up of unknowns, many new to acting.